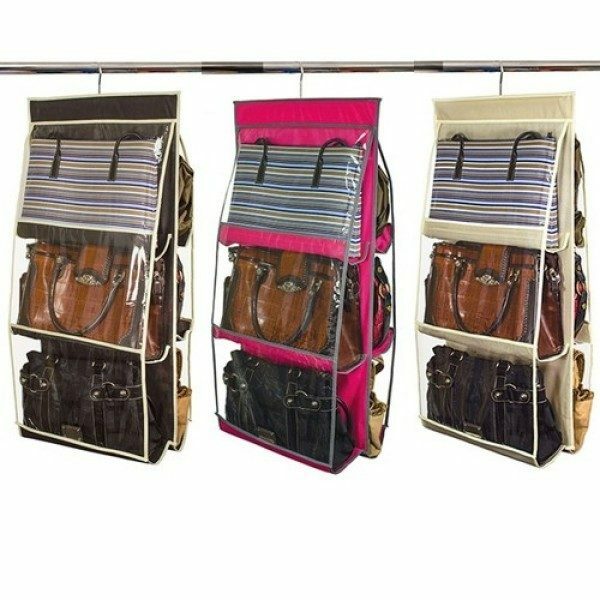 Home Collections™ 6 Pocket Hanging Purse Organizer Only $14.99 Shipped! You are here: Home / Great Deals / Home Collections™ 6 Pocket Hanging Purse Organizer Only $14.99 Shipped! This organizer hangs neatly in your closet and has 6 clear vinyl pockets so that you can see your purses. Its the quick and easy way to store & organize handbags of all sizes! The Home Collections™ 6 Pocket Hanging Purse Organizer for Only $14.99 Plus FREE Shipping measures 16″ X 31.5″!